300+ built-in stunning filters, overlays, animations, elements, etc. A YouTube video intro is a short clip shown at the beginning of your YouTube video, which introduces the main topic and the Vlog poster. YouTube intro videos have the necessary info about the name and logo of the channel. Your YouTube video intro is one of the best chances to make a great first impression on your viewers within a few short minutes in to your video. It is important to have the right tools to create impressive video intros. So, in this article, we will introduce how to make a cool YouTube Intro with Apple iMovie and with an iMovie Alternative in an easier way. Let's watch the tutorial about how to make your YouTube intro first. While iMovie is a dynamic tool to make a high impact intro, you can actually find it is a little complicated to follow through all the options and buttons on the interface to complete process. Filmora on the other hand simplifies the process and giving even beginners and amateurs a chance to make great intro videos. It is available for both Mac users and Windows users. If the tutorial above is not enough for you, you can refer to the steps (for Mac) below to make your YouTube intro now. Simply import or drag and drop the video on the timeline. Switch to the effects tab to choose a great effect for your intro clip. Now switch over to the text tab to choose from 20 different text templates that appear on the left side of the interface. Choose the correct template and double click on it to open the text editor and write in your title and credits info. Edit the text and the effects and then adjust the text appearance on the video by adjusting the position of the clip on the timeline. If you have any questions about the above steps, you can read more detailed information on Filmora Editing Tips. Watch the video below and download the free version to check out. An important aspect of intro making is that it usually contains tile cards and opening credit info within the shot. The key is to find a tool that works best with the text and video edit both. iMovie is a great program for editing simple yet high impact professional video intros. You can use the simple process outlined below to create your YouTube intro with iMove. Open the interface and click on the menu displaying "File and Open project" to choose the video you want to attach the intro to. Click on the Titles tab on the right side of the interface and check for the black review box to appear. The customization bar for the effects you can place on your video will appear just under the black preview box. Experiment with the effects to get the perfect combination for your video. Type in the correct words in the text box below the effects bar. Different effects allow different space for phrases so experiment with both effects and text until you get it right. You can also edit the font colour, speed of transitions and background. Finally, drag the intro on to the clip viewer and the iMovie interface will automatically turn it into a video clip to be inserted at certain place on the main video timeline. You can click on help to get directions if you are stuck at any part of the process. Do not over apply multiple effects and keep the colours bright but subtle. Check the tutorial below about how to make a good YouTube intro with iMovie. 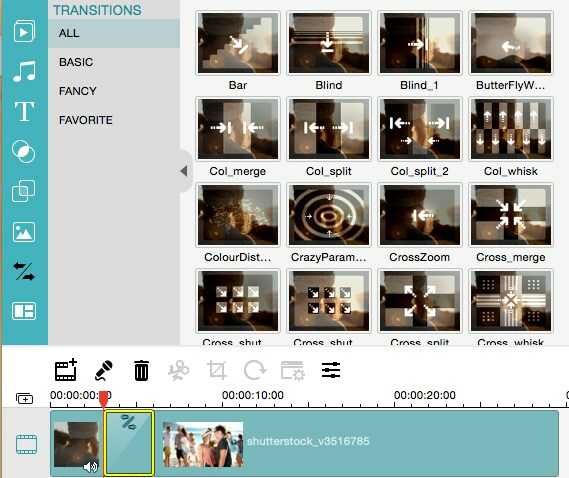 If you want to learn more iMovie editing tips, please check Top 10 iMovie Tips You Should Know.